The midnight of 30th June, 2017 was a revolutionary one in the history of the Indian economy after the Economic Liberalization of 1991 because that is the day when the Goods and Services Tax came into existence after a lot of debate over the issue in the public domain as well as in the Parliament. This was a tax structure which was billed as the one replacing all the indirect taxes such as service tax, excise tax, customs duty etc. and thereby, unifying the nearly $2 trillion Indian economy. The step brought a lot of changes in the tax structure and obviously, in the monthly budget of the middle class as well as the big corporates operating in our country. What is GST etc. etc…..
Well, there has been a lot of discussion in the topic and may be that has contributed to the complexity surrounding this issue. In simple terms, Goods and Services Tax is an indirect tax cascading all the indirect taxes prevailing in the country. It has been implemented through the 122nd Constitution Amendment Bill. The tax structure has been finalized by the GST Council which is headed by the Finance Minister of India. Basically, all the goods and services have been brought into five tax rate brackets and these are 0%, 5%, 12%, 18% and 28%. However, special rate of 0.25% is applicable for semi-precious metals and 3% on gold under this tax regime. In this regard, France was the first country to implement this kind of tax structure. 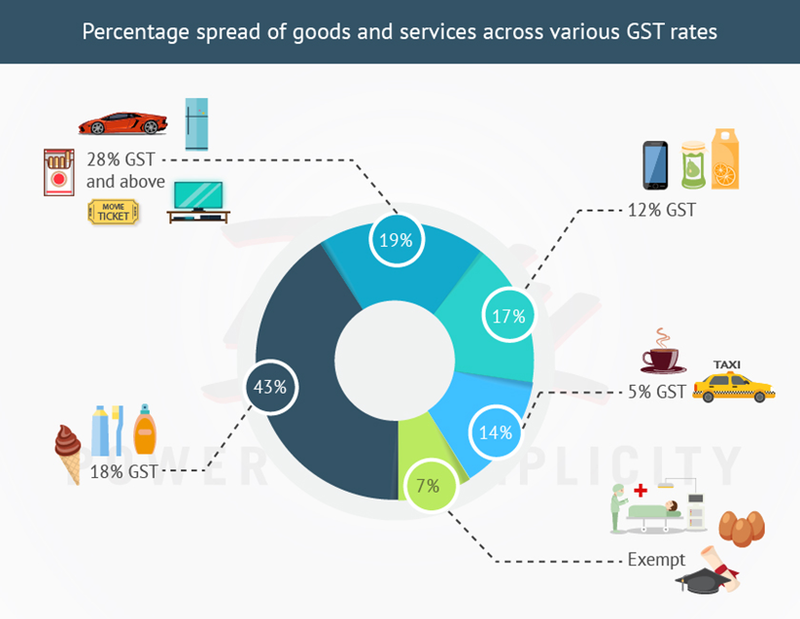 GST Journey so far: The Impact…..
For a country like India, GST has been a change that has affected the lives of each and every person in the country and also the NRIs residing outside the country. 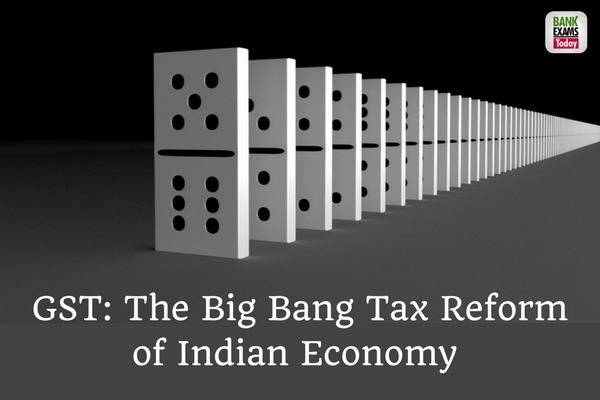 Because of the diversity of economy, the impact of this tax structure needs to be understood with respect to various sectors operating in India. In this article, we shall try to see the consequences of GST on some of the important sectors. Manufacturing industry: It has been a boon for this sector in the sense that tax compliance expenses have decreased because of this tax structure. Earlier, they had to pay a number of taxes and that used to increase the administrative costs but with GST around, that has definitely come down. On the other hand, a lot of enterprises had to register for GST and that has come as a boon for the government as it has widened the tax bracket. Services sector: Same goes for this sector as well since tax compliance has increased with the increase in tax base. For the existing businesses, it has become easier to comply with the new tax structure. E-Commerce sector: This sector has seen exponential growth in the last decade but with the Tax Collection at Source mechanism in place in the GST regime, the major players are not happy with this, however, it is yet to be seen how this pans out in the long run for this sector. Agriculture Sector: This sector has seen growth in contribution to the GDP of the country since the transportation of the agriculture products have become a lot easier under the GST regime with a unified tax structure. Real Estate sector: The short journey that GST has traversed till date, it is difficult to measure its effect on the real estate sector. However, as any other sector, the real change has been the level of transparency in this sector in terms of tax compliance. Automobile industry: This industry is one of the most important one in India but it was also the one which was taxed heavily in form of excise duty, VAT, sales tax, motor vehicles tax, road tax, registration duty etc. With GST around, it has been a lot simpler for the car makers to file taxes and become tax compliant. FMCG Sector: This has been one of the many winners under the new tax regime since GST regime has done away with multiple sales depots in way of logistics and transportation of goods. The complexity has reduced and as was envisaged, the tax base has widened. Telecommunication sector: This sector has been on the rise in India since the last two decades. After the implementation of GST, the prices of mobiles have come down since manufacturers have saved a lot on management expenses by managing the inventory effectively. On the other hand, handset manufacturers have also been able to save on logistics cost thereby passing it on to the consumers. However, the mobile service providers will require you to pay for more money for your services. GDP of India: This is the ultimate parameter of measuring the GST impact and it is yet to be seen since the GDP figures of the September quarter is not out. 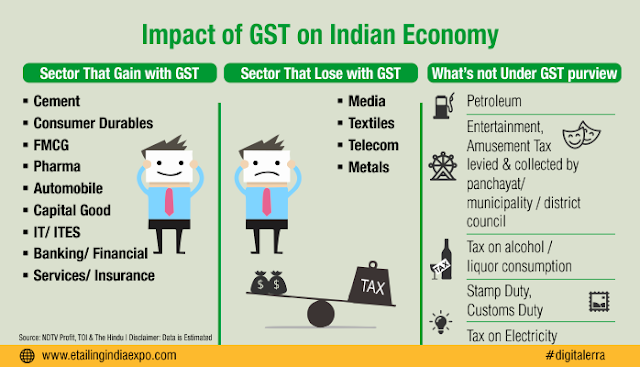 However, it is to be seen whether GST can bring the economy back on track after a not-so-good first quarter of this financial year which saw India losing the tag of the fastest growing economy to China by registering only 5.7% GDP growth in that period. These are still early days to judge the actual effect of GST tax regime since it has been a mammoth change in the Indian economy and the first GDP Growth figures after that are yet to be published by the government. However, one thing is for certain and that is tax compliance has increased because of the transparency which comes with GST structure. In the coming days, the effects of the new tax regime need to be studied and necessary changes will be required on the part of the government. No change is easy and given the Indian context, it is all the more difficult to bring about a change of this magnitude as GST. There will be some pros and some cons but on the whole, it has contributed to simplification of a very complex taxation system and that, definitely, is a step towards the right direction despite the fact that the jury is still out on whether GST is boon or bane for the Indian economy.